At Exclaim!, we pride ourselves on turning people onto new bands before they hit the big time, so it's pretty much our God-given duty to provide you with a heads-up on UK duo the Big Pink, who are poised to reveal their upcoming album, A Brief History of Love, on September 22. To be released on 4AD Records, the 11-track album has been creating quite the buzz lately, tapping into the electronic pop with a sound that brings to mind everything from the Jesus and Mary Chain to the Verve to Tough Alliance and Cut Copy. The much-ballyhooed group are composed of longtime friends Robbie Furve and Milo Cordell. 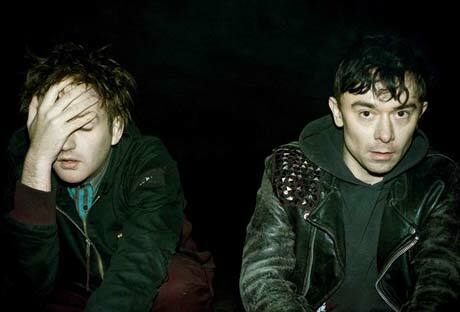 The latter runs Merok Records (Klaxons, Crystal Castles) and is the son of '60s pop producer Denny Cordell, while Furve is a former guitar compatriot of electro punk Alec Empire. Besides prepping for their album release in just over a month, the Big Pink have already been packing clubs overseas and will spend mid-November to early December playing North America, including three shows in Canada, with dates in Vancouver, Toronto and Montreal. For their live shows the band are flanked by Daniel O'Sullivan from Guapo and Sunn O))), Jo Apps from the Planet Mu label, drummer Akiko Matsuura of Pre and Comanechi, and Al O'Connell, producer/engineer for the likes of the Rapture and Klaxons. So, in other words, it's quite the line-up. A Brief History of Love was recorded in New York at Electric Ladyland Studios and mixed by Rich Costey (Muse, the Mars Volta, Franz Ferdinand). The album's first single, "Dominos," is already burning up more than a few dance floors and, as a nice touch, the record's artwork will be handled by longtime 4AD collaborators v23 (Pixies, Cocteau Twins, This Mortal Coil). If these two guys fade into the distance and never live up to the hype, we apologize in advance, but all signs point to them doing big things once this album drops. 2. "Too Young to Love"
5. "At War With the Sun"
9. "A Brief History of Love"